Walgreens. Most people who have to buy medications or other personal care products routinely go into one or the other of these stores, and they have almost become synonymous with the idea of a drug store. Aside from their similar product lines however, the two have a few other connections, particularly with regard to their business dealings and share of controversies. 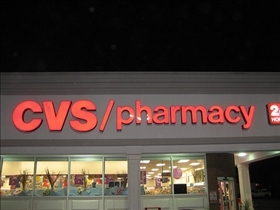 CVS Pharmacy is the second largest pharmaceuticals retailer in the United States. At present, it has more than 7,000 stores all over the country and in Puerto Rico. CVS Pharmacy mainly sells prescription and over-the-counter drugs in addition to a variety of general merchandise such as cosmetics, film and photo products and services, greeting cards and even convenience food. 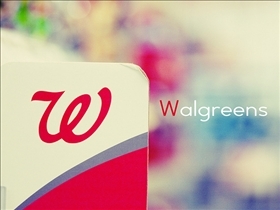 Walgreens has the distinction of being the largest pharmaceutical chain in the United States, with more than 7,500 stores all over the country, and in the District of Columbia and Puerto Rico. The chain provides a variety of goods and services and pharmacy, in addition to its health and wellness products. One of the biggest controversies that CVS Pharmacy was involved in had to with accusations of “deceptive business practices”, for which the company settled out of court. The settlement cost the company $38.5 million, and the suit stemmed from accusations that company representatives informed physicians that patients or health care providers would save money if patients were prescribed to certain prescription drugs that the company specified. As for Walgreens, the company was rocked with a scandal involving accusations of switching dosage forms on medications usually prescribed for Medicaid patients without the approval of doctors, as a way to increase profits. Medicaid programs all over the country then had to pay more for certain than they would have otherwise. In addition to agreeing to comply with state and federal laws, Walgreens also paid a total of $35 million to the United States federal government, 42 states, and the Puerto Rican government. CVS Pharmacy and Walgreens were previously involved in dealings in which Walgreens would sell prescription drugs from CVS Pharmacy’s prescription drug plans. However, a Walgreens spokesperson recently when on the record to state that they would no longer be involved with CVS Pharmacy in this or any other capacity, in an announcement that cost CVS Pharmacy’s sales to plummet, at a faster rate than it had in the past seven months. Which pharmacy offers more seasonal items? Is there a connection between Govt and a connection with CVS and MediCare patients having to buy strictly from CVS? A neighbor was out of her heart medication and her pharmacy was closed for the weekend. Concerned, I called Walgreens, but the Pharmacy said that they could not help her so I took her and her empty pill bottle to a CVS and the Pharmacist there gave her 3 pills to carry her through until she could get her meds on Monday. Now that is customer service! Walgreens would rather let you have a heart attack. That is literally illegal. That pharmacist had guts to that under his/her license and it could cause his/her license. That is not customer service at all. That particular pharmacist can get in trouble. Technically if it it not the same manufacture and pills that is labeled on the bottle, it is considered misbranded- totally illegal. if anything happens, that pharmacist can be in big trouble. I got a similar bad experience with Walgreen pharmacy, located at 8345 Lang dale Street, New Hyde Park, NY 11040. I was suffering with severe cold. EXCEL Urgent Care Doctor gave me Benzonatate1000 to take for 5 days (30 Tablets), Doctor sent the prescription electronically to that Walgreen Pharmacy; Walgreen Pharmacist gave me only 26 tablets, which are good for 4 days and said there is a shortage of this tablets, rest you will get in 2 days. I came on 2nd. day in the evening, they said we did not get back order yet, call first before you come in next day, I went next day also, got the same reply, then I went every day until 6th. day. After 4th. day they became rude to me. I missed the continuity of my medicine doses. When I complained to AETNA, my insurance provider after about 12/13 days and AETNA called them, they said now he can come and get the rest tablets! Continuity is broken, so I did not pick up the rest. They did not care to get the rest from other stores for me nor they wanted to give me the prescription to go to other stores though I repeatedly requested for it! I Prefer Walgreens to CVS in our area because the store is better lighted and seems clean and inviting. I like the druggists but hate having to wait in line. Sometimes there are 8 people in line ahead of me and when I get to the front, my prescription has not been filled even though I ordered it online and gave them plenty of time to fill it. I complained once before to the store manager that they did not have enough help at the drug counter and he told me that each store is given just so many hours for the employees and he can't schedule over that amount. The employees work their tails off but need more help. My husband goes to CVS across the street and eventhough I don't like it as much as Walgreens, I'm switching. I've had enough!